Home » Cookie Recipes » Raisin Spice Squares with Orange frosting – these are rich cookies, that are complimented with orange frosting. Raisin Spice Squares with Orange frosting – these are rich cookies, that are complimented with orange frosting. Looking for something different? These rich cookie bars are hard to be beat. They are filled with raisins, walnuts, cinnamon and nutmeg, and topped with orange frosting. This recipe is from the archives of my grandmother, Ethel Eynard. Jefferson City, MO. 1975. These are rich cookies, that are complimented with orange frosting. Cookie Square directions: Preheat oven to 350 degrees. Grease a 13x9x2-inch baking pan. Sift flour, baking soda, baking powder, and salt onto wax paper. 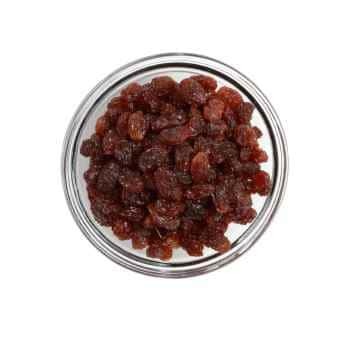 Boil raisins rapidly in the 2 cups water in an uncovered medium-size saucepan for 10 minutes. Transfer raisins and their liquid to a large bowl. Cool to lukewarm. Stir in egg; then shortening and sugar; then flour mixture; add nuts. Turn into prepared pan.Bake in a preheated oven for 25 minutes or until wooden toothpick inserted in center comes out clean. Cool completely in pan on wire rack. Frost with orange frosting, cut into squares.Frosting directions: Combine all ingredients in a bowl and whisk until well blended. Drizzle over raisin bars. The baking powder was left out of the ingredient list and I almost missed it. Flat squares for a reception would not have been good! !